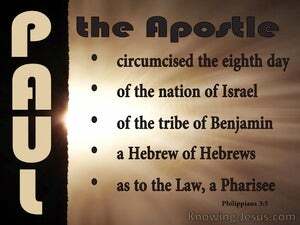 Having been circumcised on the eighth day, I am of the nation of Israel, from the tribe of Benjamin, a Hebrew of Hebrews. As far as the Law is concerned, I was a Pharisee. [I was] circumcised eight days after I was born; [I am] from the nation of Israelites; from the tribe of Benjamin and of Hebrew ancestry [i.e., an outstanding Hebrew]. 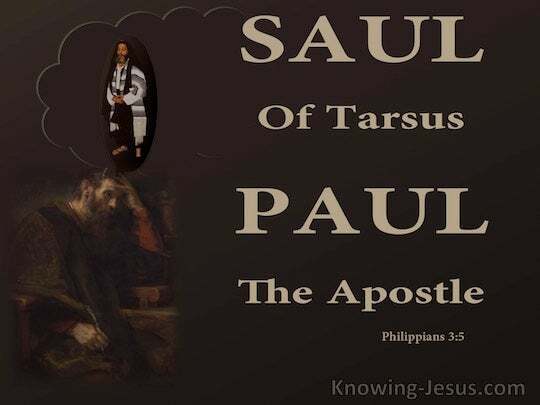 As far as the law of Moses is concerned, [I am] a Pharisee [i.e., a strict sect of the Jewish religion]. 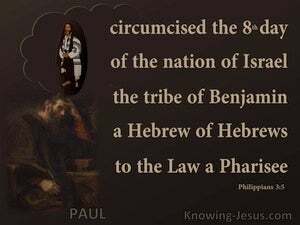 being circumcised the eighth day, of the family of Israel, of the tribe of Benjamin, an Hebrew by descent, by sect a Pharisee. circumcision on the eighth day! of the race of Israel! of the tribe of Benjamin! a Hebrew of Hebrews! according to law a Pharisee! 4 although I myself might have confidence even in the flesh. If anyone else has a mind to put confidence in the flesh, I far more: 5 circumcised the eighth day, of the nation of Israel, of the tribe of Benjamin, a Hebrew of Hebrews; as to the Law, a Pharisee; 6 as to zeal, a persecutor of the church; as to the righteousness which is in the Law, found blameless. Are they Hebrews? So am I Are they Israelites? So am I Are they descendants of Abraham? So am I.
I say then, God has not rejected His people, has He? May it never be! For I too am an Israelite, a descendant of Abraham, of the tribe of Benjamin. 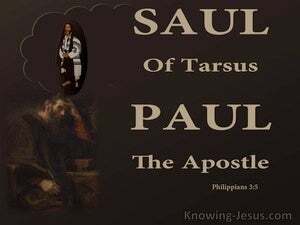 "I am a Jew, born in Tarsus of Cilicia, but brought up in this city, educated under Gamaliel, strictly according to the law of our fathers, being zealous for God just as you all are today. When the Philistines heard the noise of the shout, they said, "What does the noise of this great shout in the camp of the Hebrews mean?" Then they understood that the ark of the LORD had come into the camp.